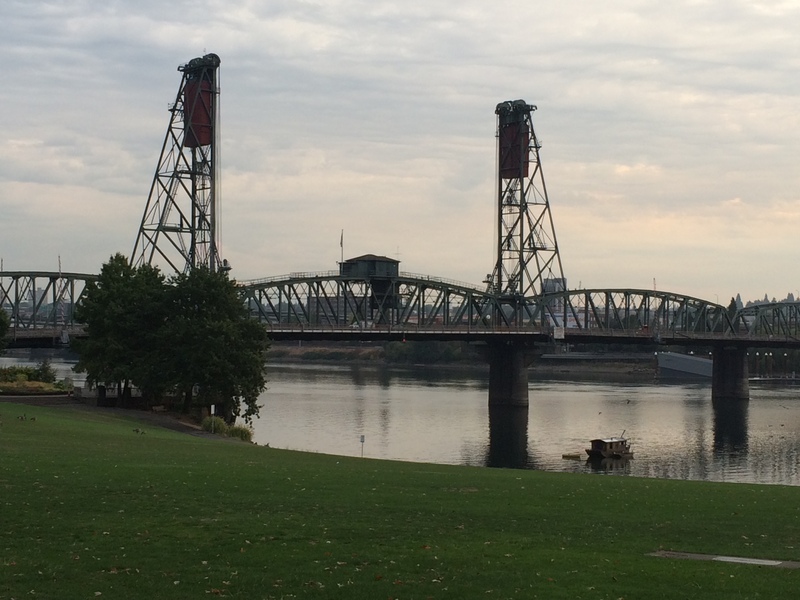 I was in Portland, Oregon last week attending three data visualization workshops by industry expert, Stephen Few. I was very excited to be sitting at the foot of the master for three days and soak in all of this great dataviz information. 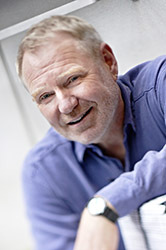 Last Thursday, was the third workshop, Now You See It which is based on Steve’s best-selling book (see photo below). To not give away too much of what Steve is teaching in the workshops, I have decided to discuss one of our workshop topics, human perceptual and cognitive strengths. 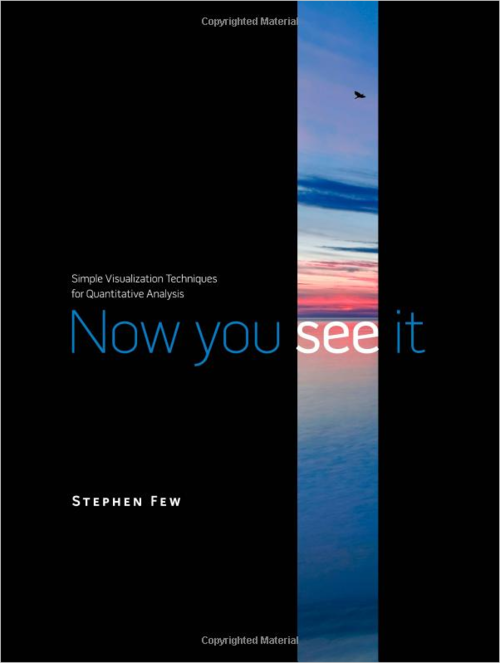 Good visualizations and good visualization tools are carefully designed to take advantage of human perceptual and cognitive strengths and to augment human abilities that are weak. If the goal is to count the number of circles, this visualization isn’t well designed. It is difficult to remember what you have and have not counted. 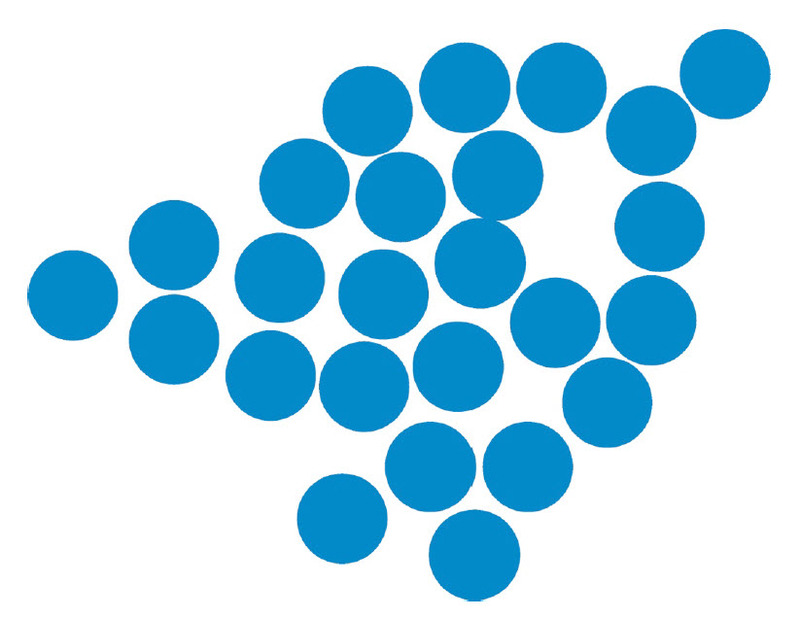 Quickly, tell me how many blue circles you see below. 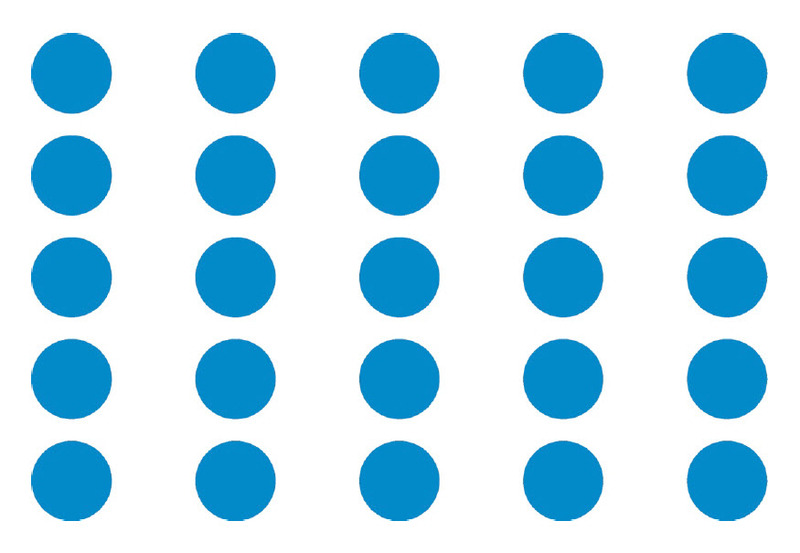 The visualization below, shows the same number of circles, however, is well designed for the counting task. 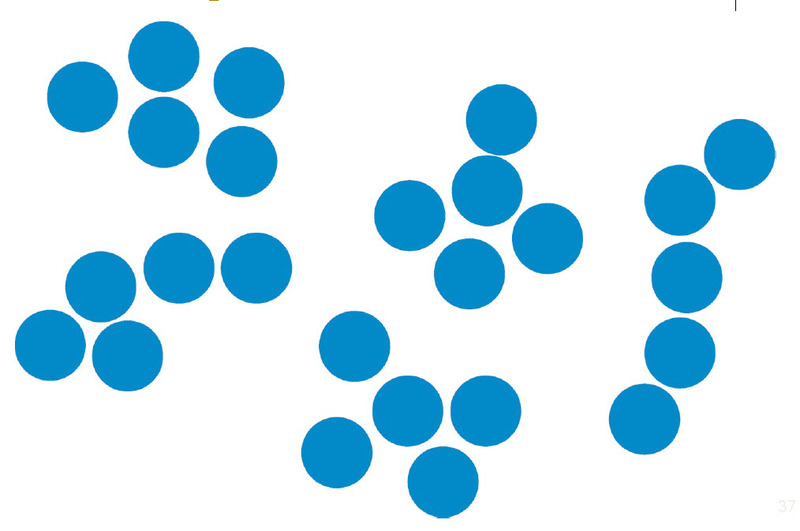 Because the circles are grouped into small sets of five each, it is easy to remember which groups have and have not been counted, easy to quickly count the number of circles in each group, and easy to discover with little effort that each of the five groups contains the same number of circles (i.e., five), resulting in a total count of 25 circles. The arrangement below is even better yet. 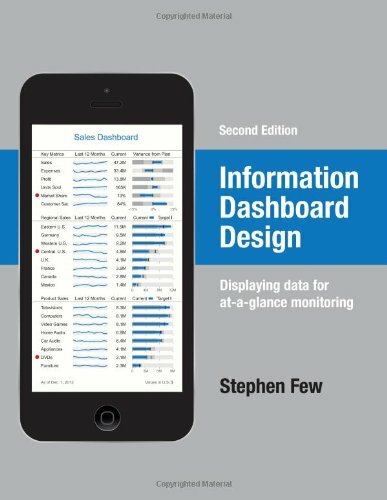 Information visualization makes possible an ideal balance between unconscious perceptual and conscious cognitive processes. With the proper tools, we can shift much of the analytical process from conscious processes in the brain to pre-attentive processes of visual perception, letting our eyes do what they do extremely well. 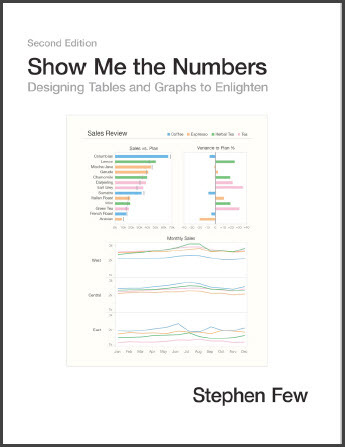 Yesterday, was the first workshop, Show Me the Numbers which is based on Steve’s best-selling book (see photo below). To not give away too much of what Steve is teaching in the workshops, I have decided to give one “before and after” example each day with Steve’s explanation of why he made the changes he did. 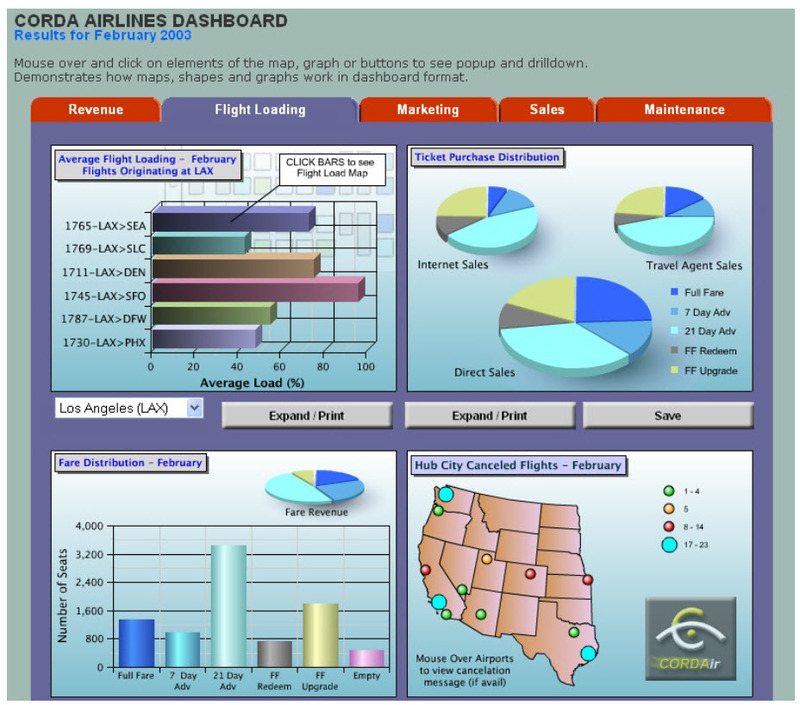 In the example below, the message contained in the titles is not clearly displayed in the graphs. The message deals with the ratio of indirect to total sales – how it is declining domestically, while holding steady internationally. You’d have to work hard to get this message the display as it is currently designed. The revised example below, however, is designed very specifically to display the intended message. Because this graph, is skillfully designed to communicate, its message is crystal clear. A key feature that makes this so is the choice of percentage for the quantitative scale, rather than dollars. The type of graph that is selected and the way it’s designed also have great impact on the message that is communicated. 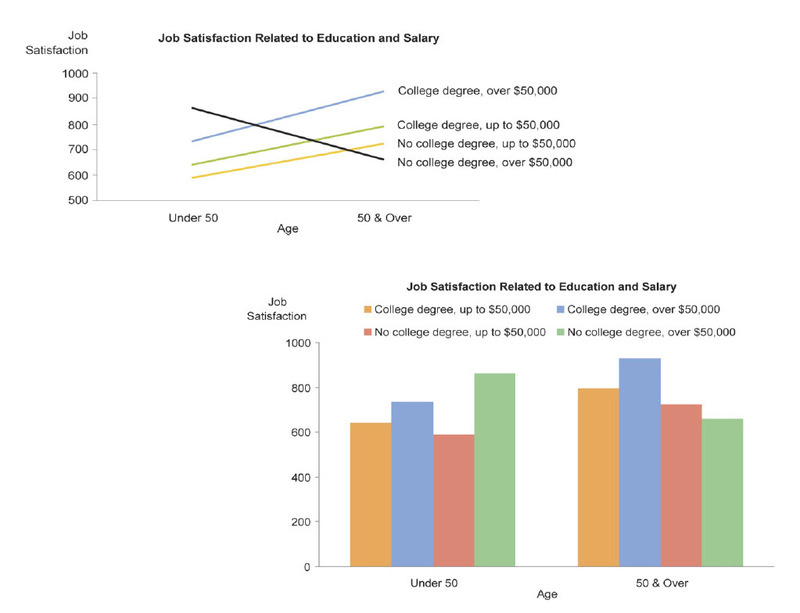 By simply switching from a line graph to a bar graph, the decrease in job satisfaction among those without college degrees in their later years is no longer as obvious.